A ribbon-cutting ceremony was held Nov. 26 to mark completion of the Pennichuck Merrimack River Interconnection, a multimillion-dollar project that will provide year-round water supply to residents of Litchfield, Londonderry, Windham, Pelham and Hudson, many of whose private water supplies were contaminated per-and- polyfluoroalkyl substances, or PFAS, linked to the Saint-Gobain Performance plant in Merrimack. Members of the NH Drinking Water and Groundwater Advisory Commission, the NH Department of Environmental Services and officials from Pennichuck Corp. took part in the ceremony. 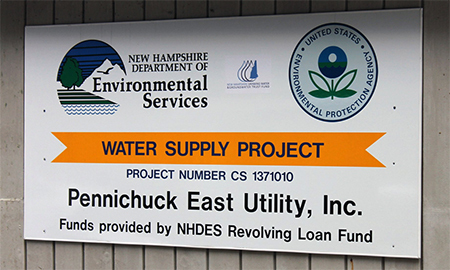 The project involves connecting the Pennichuck Water Works system in Merrimack via an under-river crossing of the Merrimack River to the Pennichuck East Utility system in Litchfield. 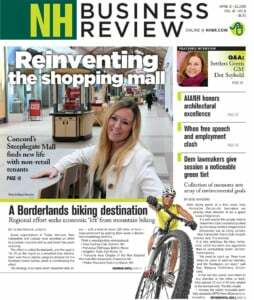 The project received funding from both the NH Drinking Water State Revolving Fund and the NH Drinking Water and Groundwater Trust Fund. “This project is critical to delivering an ample supply of clean drinking water to those across the river in Litchfield living with contaminated wells. Many of us take clean water for granted, but providing a clean drinking water source to communities is exactly what this Trust Fund was designed to do,” said Sen. Chuck Morse, R-Salem, chair of the Drinking Water and Groundwater Advisory Commission. The project was financed with a $2.4 million loan from the Drinking Water State Revolving Fund as well as $900,000 in loans from commercial lenders and a $600,000 grant from the Drinking Water and Groundwater Trust Fund. That trust fund is supplied through a $236 million settlement with ExxonMobil Corp. related groundwater contamination from the gasoline additive MTBE.